. Call us for catering. (256)922-2253 – Order pickup for catering. OUR BREAD IS FRESH! We bake bread and pastries early and throughout the day. Leftover bread goes to organizations helping those in need of food. The bread you eat today at Atlanta Bread Huntsville may have seen sun rise this morning or it may have been just baked. But, it won’t see the sun rise again in our cafe. We start fresh baked daily. 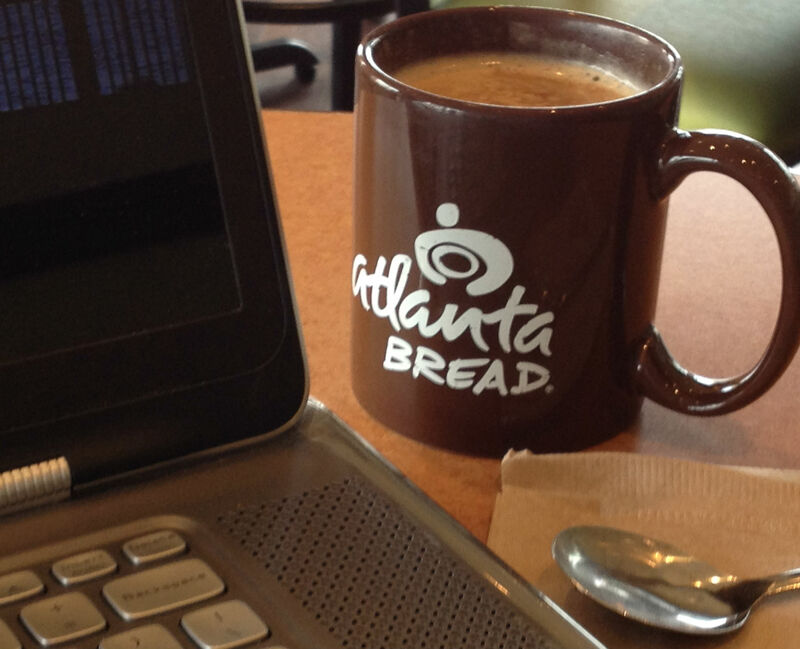 We bake throughout the day – baguettes, cookies, bagels, pastries, you name it. We are fresh baked bread. Your meal is fresh! We make your meal the way you want it. It’s all made to order. Your food is made from veggies washed and cut right off the truck that day, not pre-cut and vacuum packed. We bring in our all natural meat and cheese multiple times per week. We slice meat each day for that day to capture the true taste and flavor for you. We blend many of the sauces and dressings in our cafe for your meal. It’s all about real, authentic taste.